The elegant leather mirror that Adnet designed in 1950 provides inspiration for designers all over the world. His style is the epitome of luxury, so his 1950’s collaboration with the exclusive French fashion house Hermés was a natural. In association with Hermés, Adnet developed a Collection of discreet yet voluptuous leather-covered furniture and interior accessories. 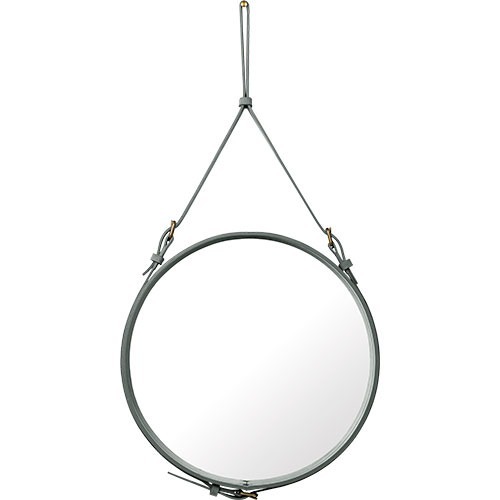 The mirror is available in either black, olive or brown leather with burnished brass rivets on the edge. Also, the rectangular shape version is available.